Saddle up ladies! 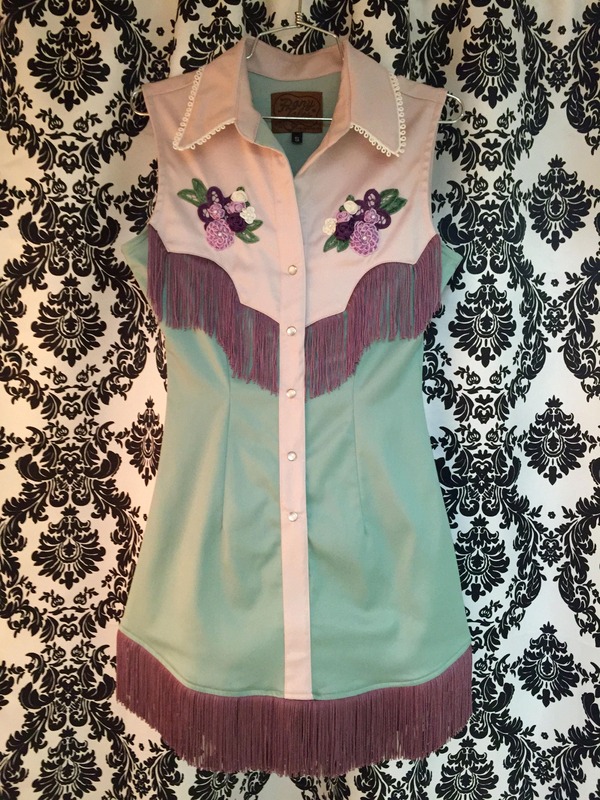 The Riley Fringe Dress is riding into town! Styled after the classic western cut shirts you love on Cowboys as timeless shirt dresses but tailored to fit a lady. 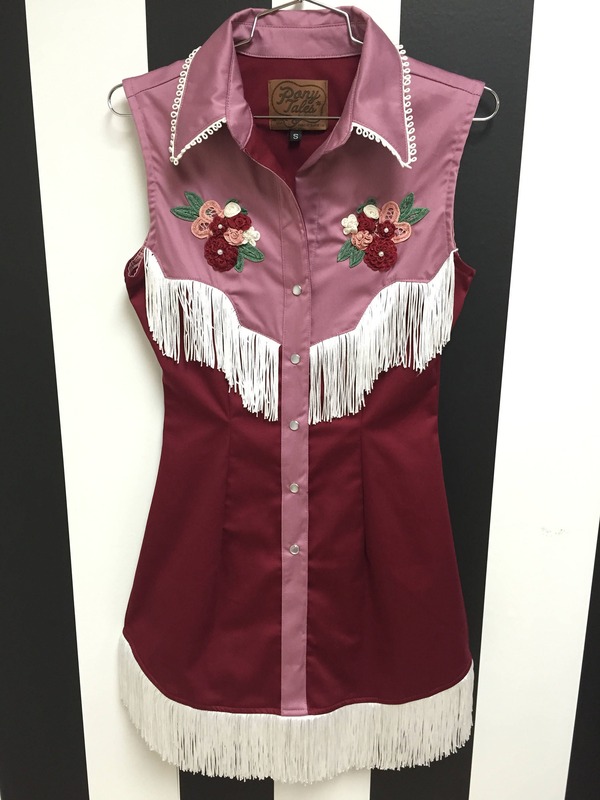 Gorgeous stretch cotton sateen with a fold over classic collar, white pearl snap front, fringe accent at the bust and yolk, piped accents at the bust with sharp-looking arrow tacks, and complete with swingin’ white fringe at the hem, nothing short of the best for all you ranch hands and show girls!! Additional charge for embroidery, rhinestones, or anything else you dream of adding! !